The hair has a pretty shine! 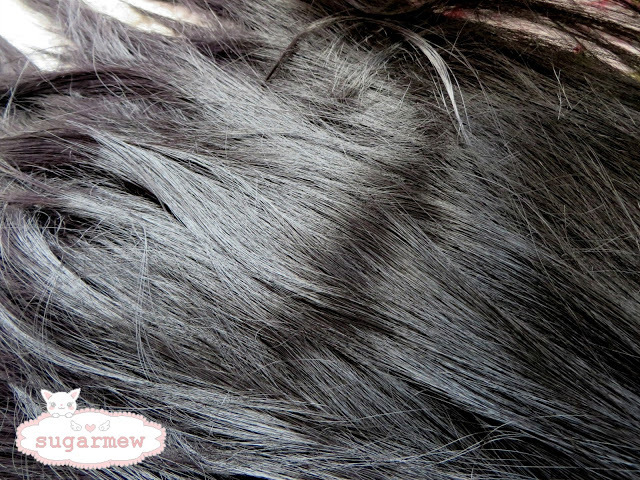 It doesn’t look plastic like, just like really soft and super healthy hair for me. Big plus point: You don’t see the wig cap through the hair! Other than in my pink I.A. wig which let the wig cap shine a little bit through, you don’t see it at all here. I think it’s maybe because of the dark hair that covers really well. Awkward photo to show you how long the bangs were before I cut them. Here’s the result! I attempted this slight Hime cut. 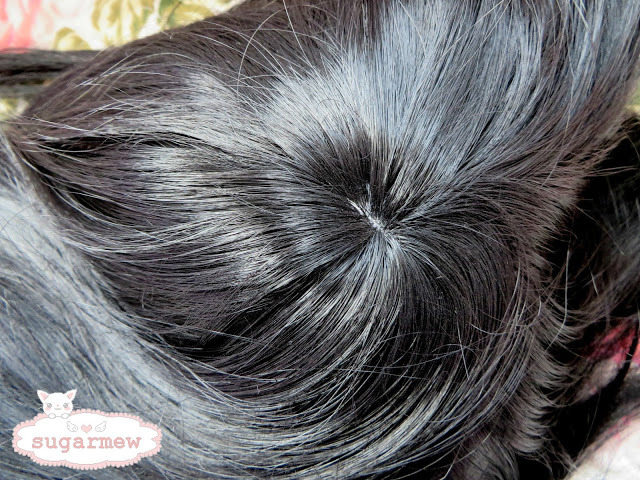 The design is really simple, I consider this wig absolute basic and standard. This doesn’t mean anything bad at all, actually quite more of the opposite: You can do pretty much everything you want to do with it! As long as you want to have bangs or your cosplay character has bangs, you can style it the way you want to and that’s it. There’s nothing much more to say other than that actually! I don’t see why I shouldn’t give it a 10/10 ♥. $12.80 – 10/10 ♥ again! They were really friendly and replied within the same day or within the next 2 days to me, so I’m happy with that. 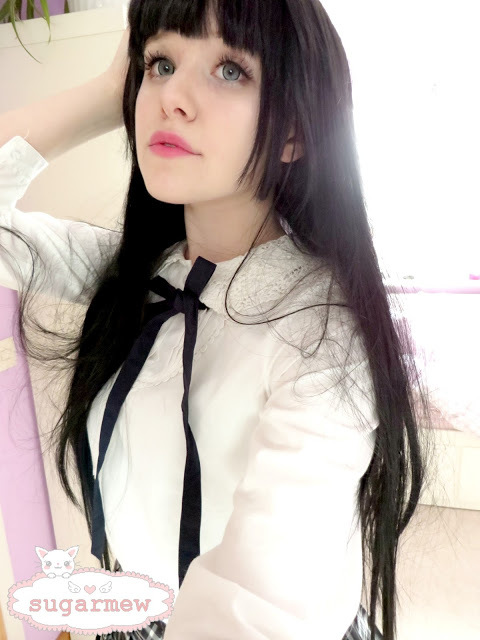 Their store also has cosplay costumes, regular costumes and fashion wigs, so if you are looking for something not too expensive, I’d definitely check them out! 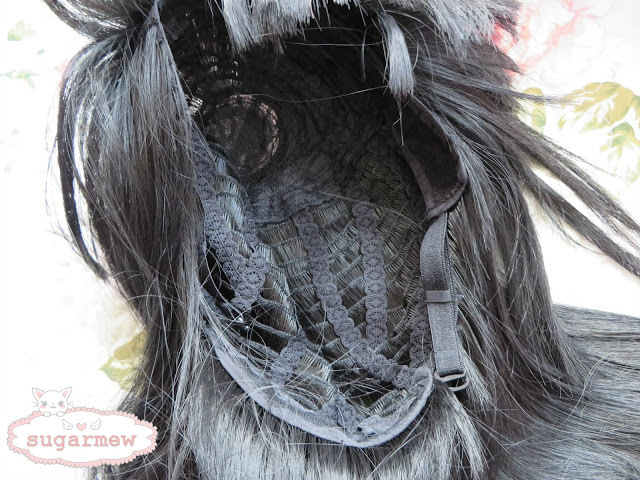 I can really recommend their wigs because they’re so cheap but have a decent quality for that. Oh, and I didn’t have any problems with German customs by the way! This is very rare but it made me so happy because German customs are really strict and I always have to pay an extra 10 or 20 Euro. Not with this package though, yay! 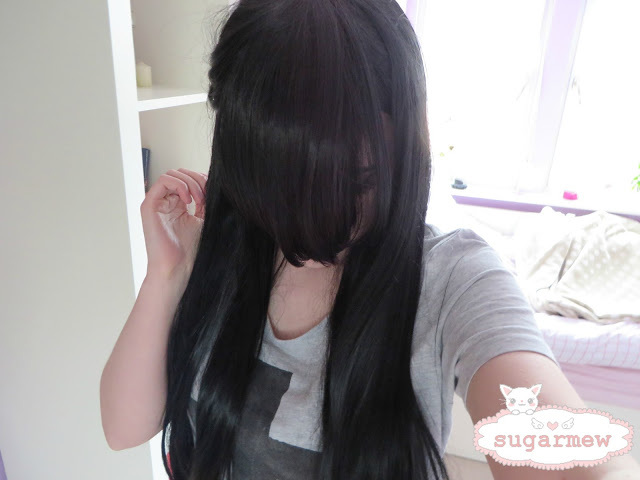 So cutiepies, what do you think of the black wig? As always, feel free to let me know! You’ll always get the fastest reply when you talk to me through my Instagram (@sugar.mew) because I am on there daily. 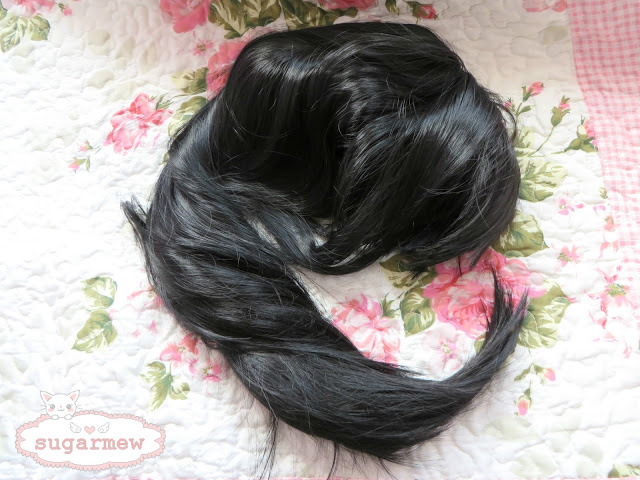 This entry was posted in Fashion Wigs, L-email Wig review, Wigs and tagged anime cosplay wig, fashion wig store, L-email wig review, wig-supplier reviews.